Composed by Bob Good. Contemporary Classical, Repertoire, Recital. Individual Part. 12 pages. Published by Surrey Dance Music (S0.448609). 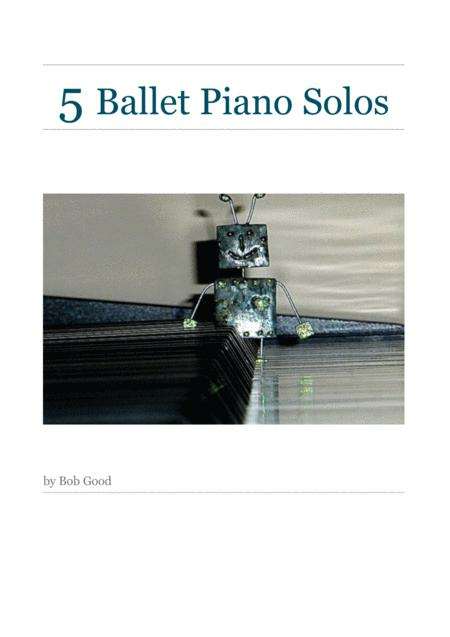 A collection of five of our most popular short piano solos for ballet, including exercise pieces as well as those for performance. Difficulty ranges from easy to advanced. Chopin would have poured his heart out to "Satyr", whilst enjoying the pianistic quality of "Ariel". "Herald Of The Morning" meanwhile, remains our most requested piece.